This is a new design by Katya (my 7 year old daughter) and part of the Norwegian series. 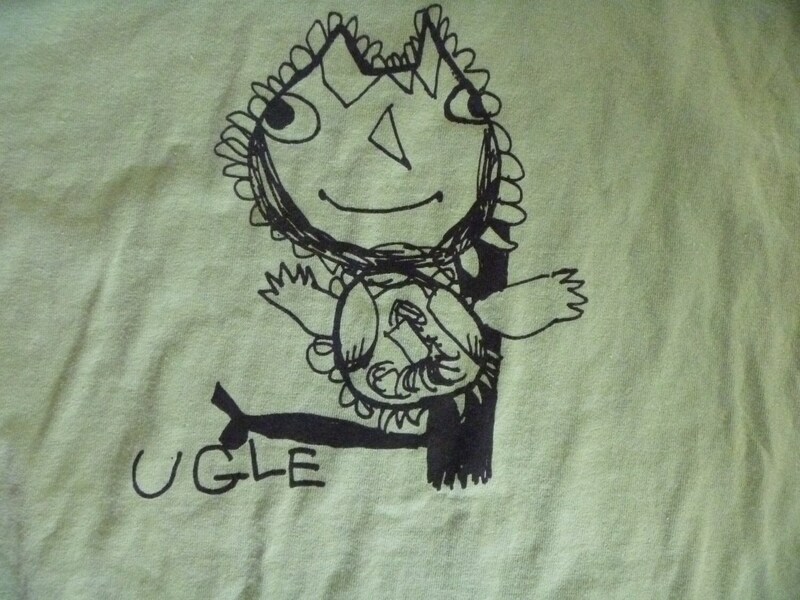 Ugle is Norsk for owl. 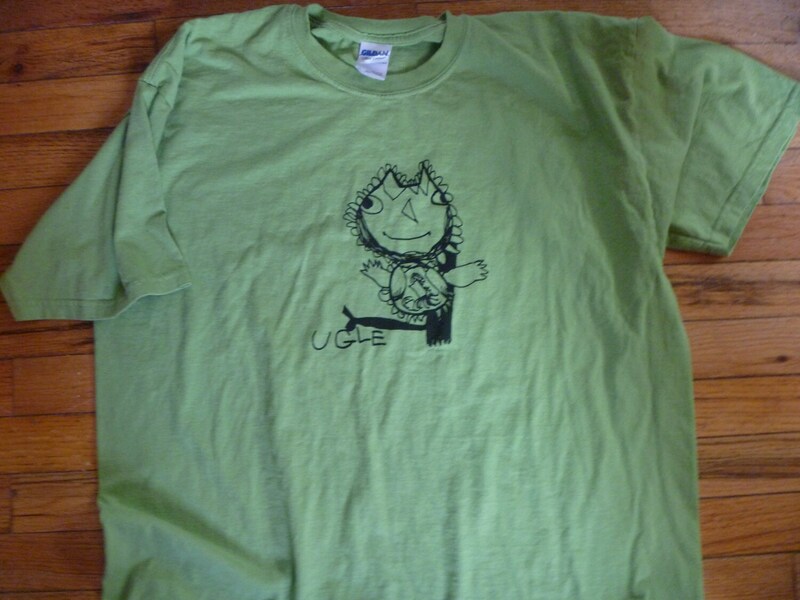 The size is a adult XL in bright green. The fabric is 100%cotton, and is a Gildan brand shirt. The silkscreens are hand-pulled by me. The inks we use are water-based. If you would like a different size or color, please let us know.